Superwoman Anna Degtereva Talks About #NEWENERGY And The Opportunity It Presents For Young Entrepreneurs ! “I’m a happy person. I have a beloved family and the best job in the world”. Anna Degtereva, Happy Farm CEO, General Director of “Global Management Challenge Ukraine” company (international competition on strategic management) spends roughly half of her life on a plane, in attempt to discover, plant and harvest the innovational projects of the world’s leading industries: from agricultural and energy to IT. However, more than ten years ago this rhythm of life would seem somewhat of a weird fantasy for Anna. After graduating from her hometown university of Dnipropetrovsk in Ukraine, she began her career as a German language translator. Obviously, that wasn’t enough for a young, ambitious girl who dreamed of large multinational companies. One of those companies soon surrendered to the pressure of Anna’s knowledge and ability to work harder than hard and hired her. 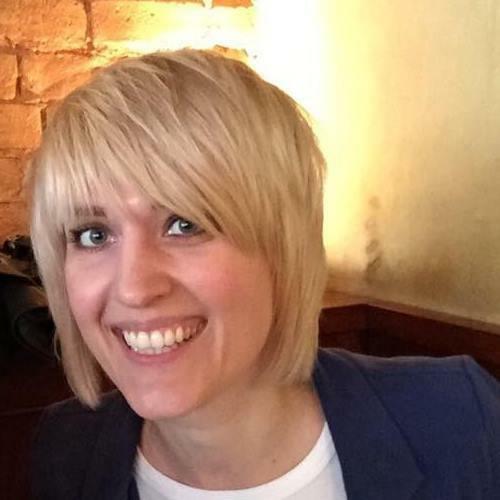 Within just two years, Anna grew from assistant manager to HR-director. It was a stunning rise, and every other specialist at this stage would have calmed down to reap the benefits. Anna didn’t. In 2006, Anna Degtyaryova followed the advice of a friend to get on an interview with Global Management Challenge (GMC) project – the World’s most popular competition in strategic management at the time. The idea fascinated her. For Ukraine, this was an entirely new market segment – risky, interesting and insane enough to match Anna’s ambitions. Later that year she moved from Dnepropetrovsk to Kiev, leaving her respectable and highly paid position, into the unknown. And the exhausting hunt for projects’ investors began. No one believed in her ideas. Debts and liabilities. Yet in 2008, thanks to Anna’s skillful leadership and her team’s coordinated work, GMC run its first student project – GMC Junior in Ukraine with a virtual budget of 200 million euros. Later on there was technological contest “Innovation Breakthrough”, where Anna got to know the US business incubator system. This pushed her to creation of the first Ukrainian business accelerator for IT-startups’ development. Thus in 2012 Happy Farm was established with the main task to provide business development services for startup teams (or companies) and further support and investment attraction in startup companies. Anna says the concept of Happy Farm has evolved along with the industry. Business incubators cannot function in a stationary environment and they need international platform for raising finance and awareness: conferences, forums etc. Thus, in close partnership with international organizations, Happy Farm created the international board of investors and engaged key market players and experts to mentor the projects. This year in October, Happy Farm together with JSC “Informational and Analytical Center of Oil and Gas”, supported by Ministry of Energy of the Republic of Kazakhstan, launch an ambitious international project in Astana – #NEWENERGY global startup fest. This event will be the first stage of a world’s exhibition EXPO 2017 to take place next summer in Astana. 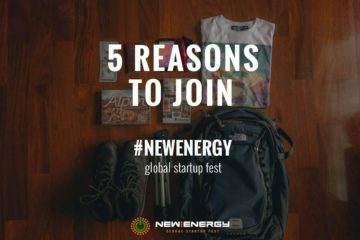 #NEWENERGY is set to discover and fundraise the most promising projects in the field of clean energy. It’s key goal is to attract innovative international companies, venture funds and accelerators in order to develop “green economy”, renewable and alternative energy sources. Prior to the event experts will select TOP 100 early-stage companies for participation. 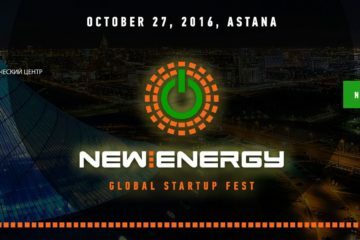 On October 27, 2016 chosen companies will pitch to expert’s panel and international investors at #NEWENERGY main stage. TOP 30 early-stage companies will get a chance to present themselves at Astana EXPO-2017. The panel of experts is already impressive: Hendrik Tiesinga (California Clean Energy Fund, Co-Founder and Program Manager New Energy Nexus), Olga Lobachinsky (CEO at StartIsrael), Oren Simanian (Founder of StarTau, Director at Indiegogo Israel), etc. Any competition equals movement. For someone like Anna Degtyaryova, the movement is akin to life. She constantly needs to draw vectors, mentor projects and discover trends. Speaking about her latest brainchild #NEWENERGY, Anna says that this is a huge opportunity for young startups. She enthusiastically explains how hunt for investors and participants turns into an adventure. And how she treasures the discovery of promising new companies. For investors, #NEWENERGY is a real “Klondike”, with the all of the gold brought by Happy Farm on the palm of a hand. It’s hard to realize how difficult doing a project of this scale is. When Anna jokingly says that she has 42 projects + one, the most important – her daughter Dasha, you wonder is 24/7 a limit? When we ask whether it is hard to be a woman in the technological industry and aggressive business environment, Anna answers that she has never experienced the gender inequality. “There is no caste system in business. No gender, no race. There are only possibilities and those who don’t miss them”. According to Anna, #NEWENRGY is all about opportunities that cannot be missed. 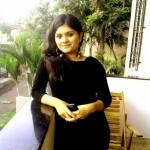 Next ArticleKaeya Majmundar of Bzbox Talks To TechstoryTV !